Princess Azmei of Tamnen hunts the person trying to destroy her family. Commander Hawk of the Tamnese army agrees to an undertaking for the crown--seek out the truth about Princess Azmei's killer. Yarro Perslyn seeks to free the Voices in his head. 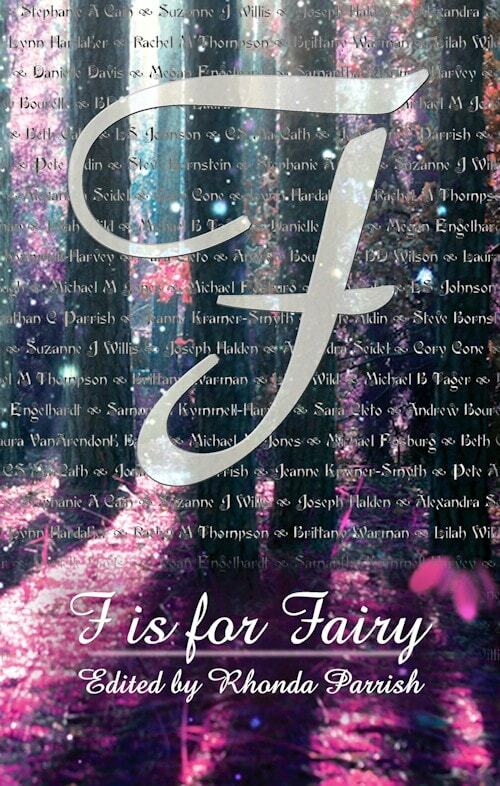 Princess, prisoner, and prophet collide in the embattled region between the two kingdoms. But will they be in time to prevent more death, or will the rising storm break them all? 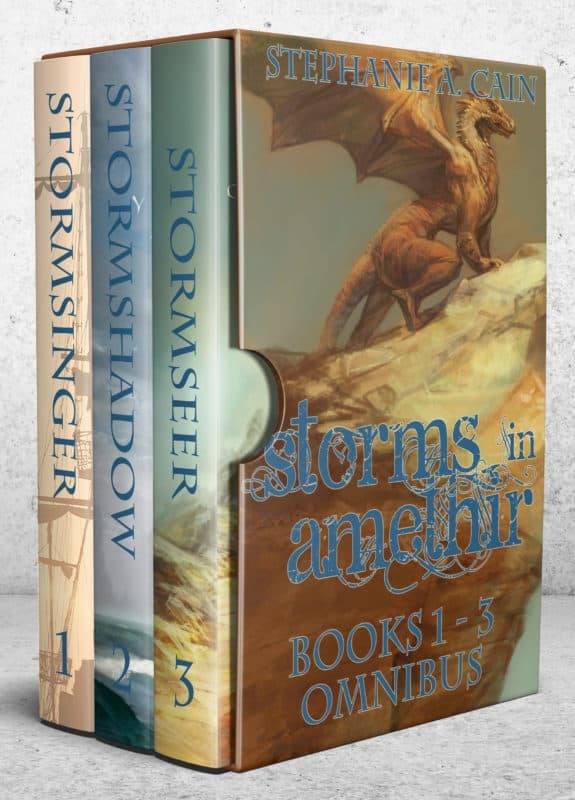 Stormseer book trailer – Storms in Amethir epic fantasy series from Stephanie Cain on Vimeo. 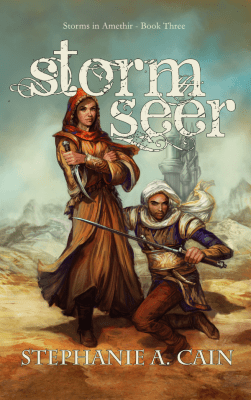 The kingdoms of Tamnen and Strid have been at war for decades. Princess Azmei of Tamnen left her family for a treaty marriage to end that war–but an assassin’s blade destroyed her plans. Protected by her presumed death, Azmei hunts the person trying to destroy her family. Commander Hawk of the Tamnese army was captured by the Strid after being left for dead on the battlefield. 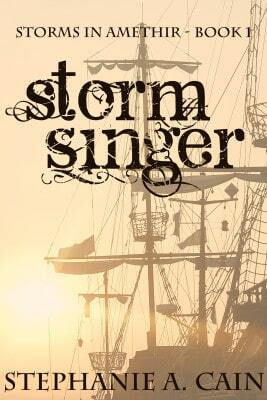 After years as a prisoner of war, he is finally ransomed–only to find he has no place left in the world. His parents are dead and his command has long since been given to another. At loose ends, he agrees to an undertaking for the crown–seek out the truth about Princess Azmei’s killer. Yarro Perslyn has been captive to the Voices in his head for most of his short life. The only family who ever cared for him was his sister Orya, and she disappeared. Now the mysterious Voices in his head are saying something new. They are real, and they want Yarro to free them. Princess, prisoner, and prophet collide in the embattled region between the two kingdoms. 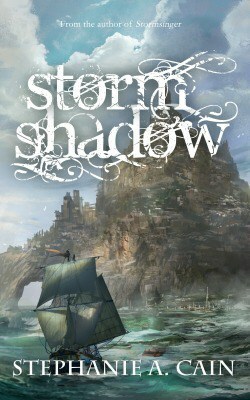 But will they be in time to prevent more death, or will the rising storm break them all? 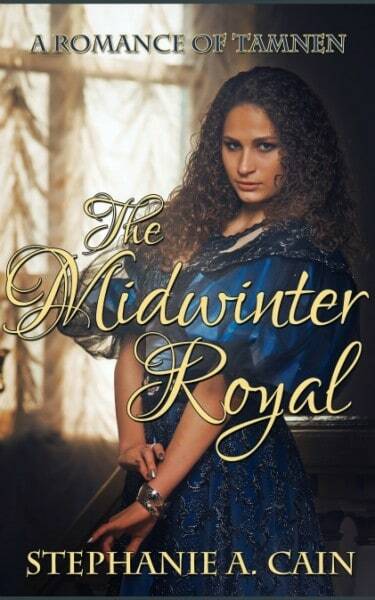 The Midwinter Royal is set in the same world but earlier in the timeline. 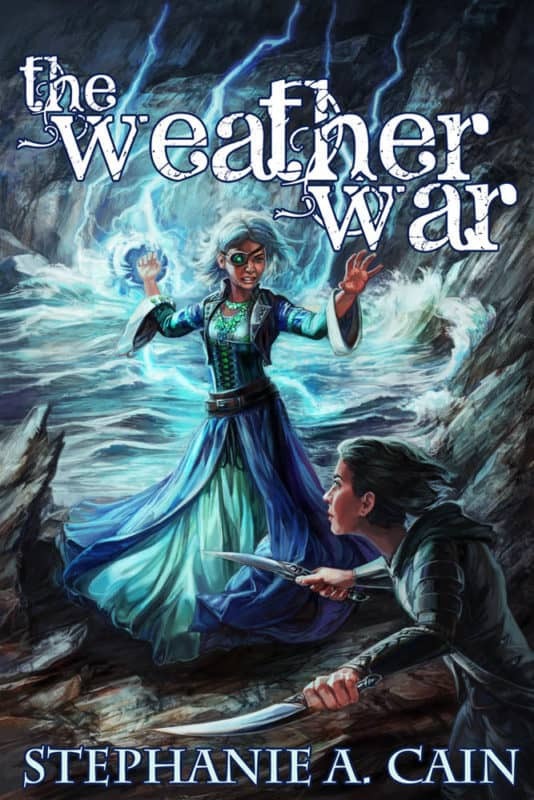 The fourth book in the series, The Weather War, is plotted and will take place immediately following the events of Stormseer. 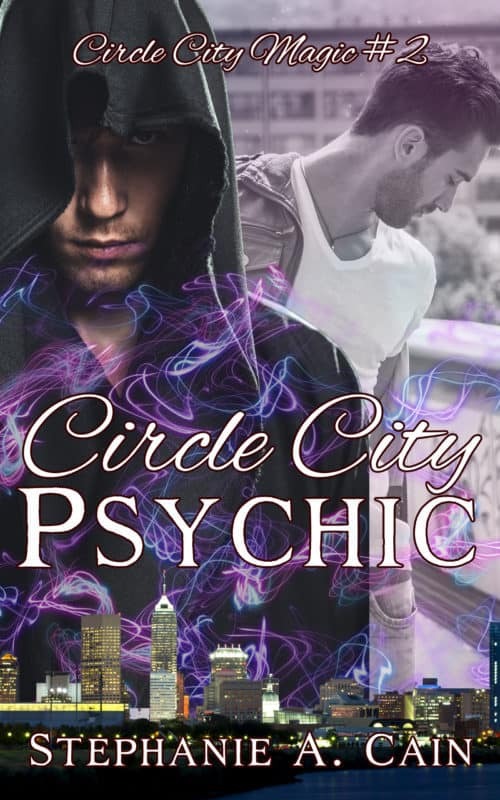 It is slated for a 2017 release and will bring back favorite characters from the first two books in the series.